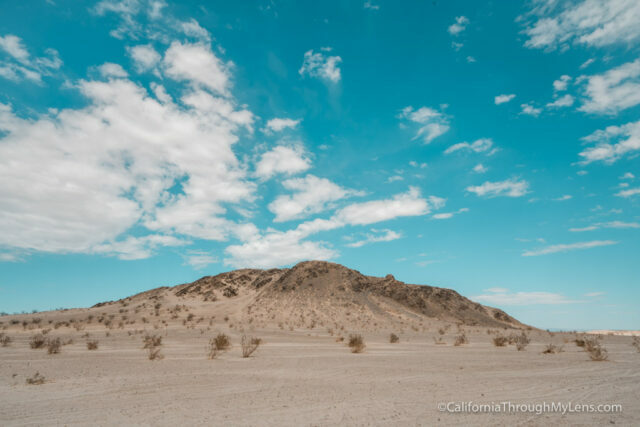 Anza Borrego State Park and Ocotillo Wells Recreation area are two places that have a wealth of areas to explore, most of which cannot be accessed without an offroad vehicle. 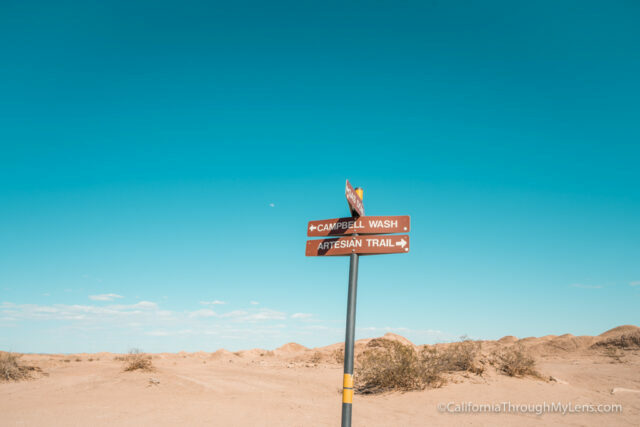 Since Ocotillo Wells is one of the most popular off-roading regions in California, I partnered with Ironwoods and Polaris Adventures to rent one of their vehicles and take it out for a half day of offloading. 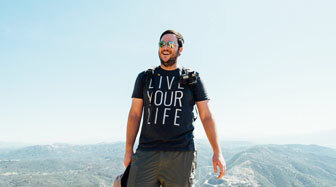 Spoiler alert, it was a total blast. 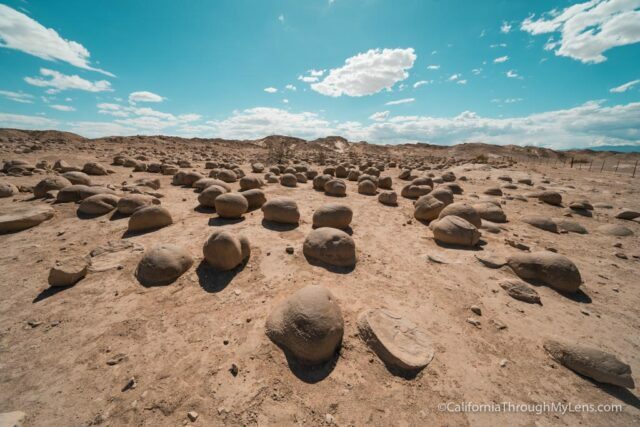 My wife and I loved every minute of our 4 hours charging over hills and through canyons while visiting everything from rock formations and fossils to bubbling mud pools. 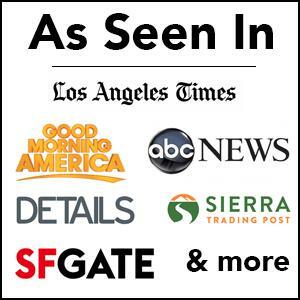 Here is all the information. 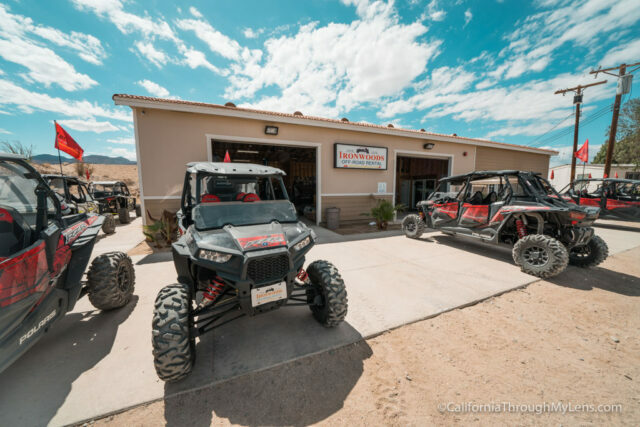 Ironwood’s Off-Road Rentals is part of the Desert Ironwood Resort, which is located right next to the start of Ocotillo Wells. 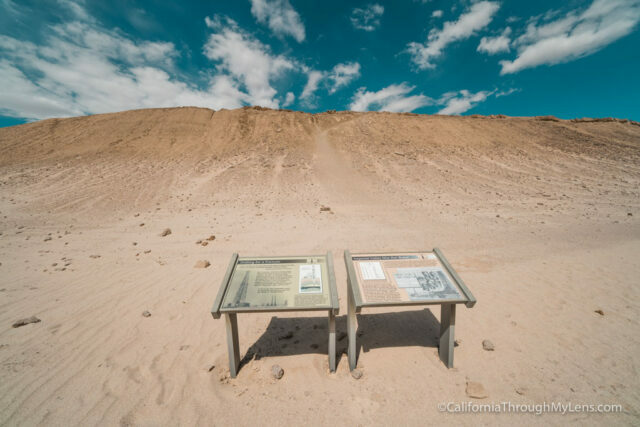 From most of Southern California, you will take either Highway 79 or 78 to Julian, then head out on Highway 78 till you get down into Anza Borrego and see the signs for Ironwoods Resort on the right. The rental area is in the back. After arriving 15 minutes before our start time, we got checked in and given our helmet, goggles, and gloves (provided) before a full tour of the machine and how to use it. This was my first time driving something like this, but the staff was great at making you feel at home with the vehicle. 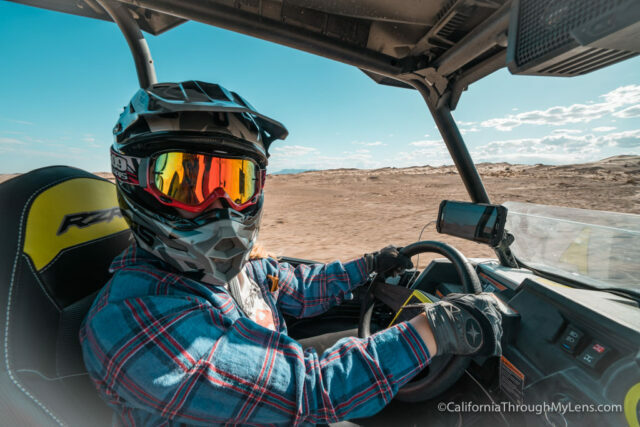 The Polaris comes with Bluetooth stereo for playing music, a GPS so you can find your location while driving and a Spot tracker so you can send your location if you run into any trouble. The GPS was especially beneficial as there are street signs out in the dirt near the road intersections but I would have had a lot more trouble navigating the area without the GPS. For the next 4 hours, Amie and I raced through the hills, explored the park and had a total blast getting covered in dirt. 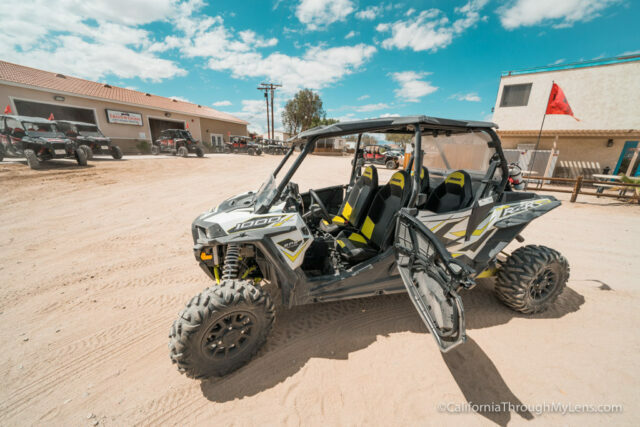 The Polaris is big enough to fit four people so you can bring your whole family on the adventure and there is a lot to explore, more on that here. As first time off-roaders, the Polaris handled the crazy bumps and divots like a champ, and it never felt stressful to be out there. Amie and I both drove it, and both had a blast doing so. 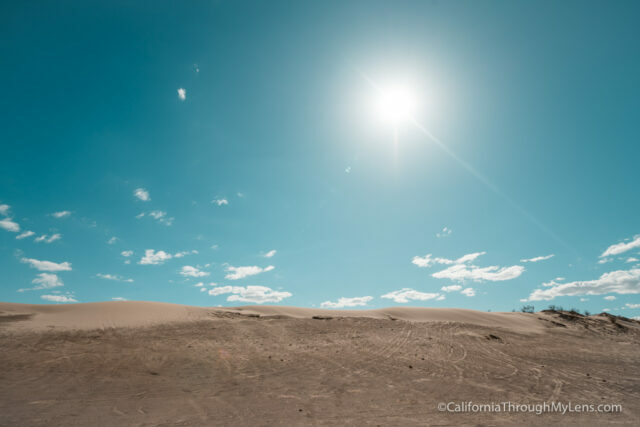 When we arrived back, we sprayed ourselves off with the air hose, checked the vehicle back in and drove out to explore more of the Anza Borrego area. 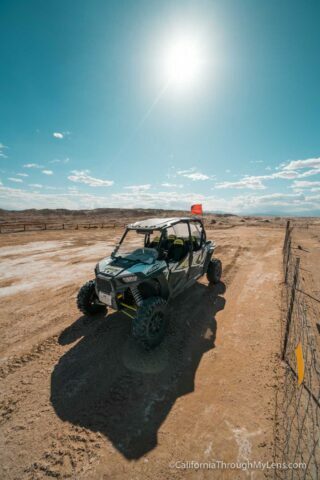 If you want a unique Southern California adventure, then I recommend heading down to Ironwoods and taking out a Polaris. It was a ton of fun, Amie and I will for sure be back.